March 7 was a special Wednesday at Woodstock; throughout the day there were many guests visiting different parts of the campus. Chairs were lined up in the Media Center Auditorium and shiny trophies and certificates were laid out neatly on the stage. Students walking outside the Auditorium couldn’t help but glance at the golden trophies and wonder what the deal was. The only clue that could ease the anticipation was a poster on the Music bulletin board in the Quad listing all the names of participants of the ABRSM High Scorers’ Concert that took place on the afternoon. The High Achievers’ Concert was a celebration of the students who achieved high scores on the most recent ABRSM music exam. In this particular concert, high scorers from the neighboring city of Dehradun and Mussoorie performed their favorite pieces out of the ones that they had to play for the exam. There were piano, violin, and singing performances by students followed by a performance by the Woodstock Strings Orchestra. After these performances, there was the distribution of the long-awaited trophies. However, the concert was much more than a huge gathering of excellent musicians and their teachers; it was an effort to encourage more students to participate in music and get the most out of their musical potential. Mostly because “the scores give insight into how you’re doing and where you can make improvements, meanwhile the learning process and the exam play an important role too,” said Mr. Roy. The benefits of the concert for students run parallel to what the teachers believe. 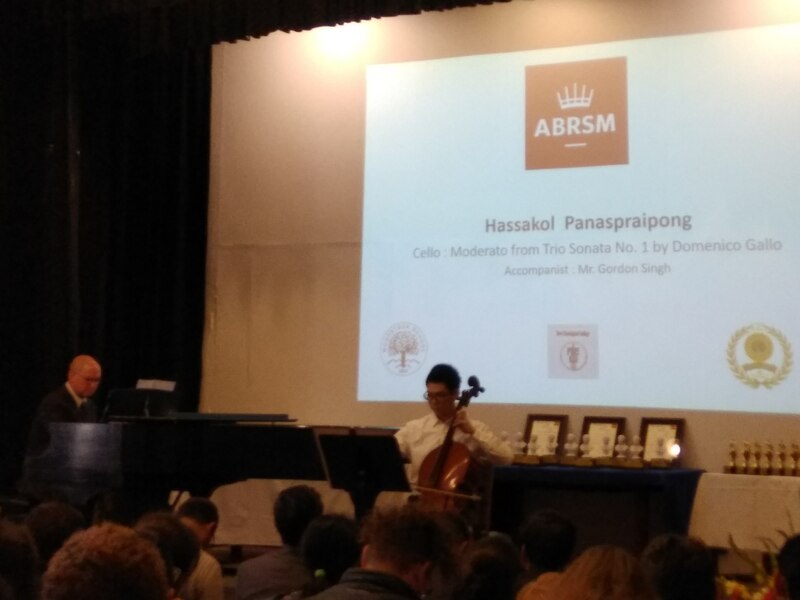 Hassakol Panaspraipong, a cello player who played in the High Scorers’ Concert, said that the exam had helped him become a better musician as it gave “feedback of what level” he was at. But according to Panaspraipong, the benefits of the concert are not only limited to certificates and feedback. Panaspraipong said that the concert was a challenge, as well as, a major confidence booster. “The concert was an obstacle for me because I have stage fright, but this recital has boosted my confidence, it’s fun playing my instrument,” he said.